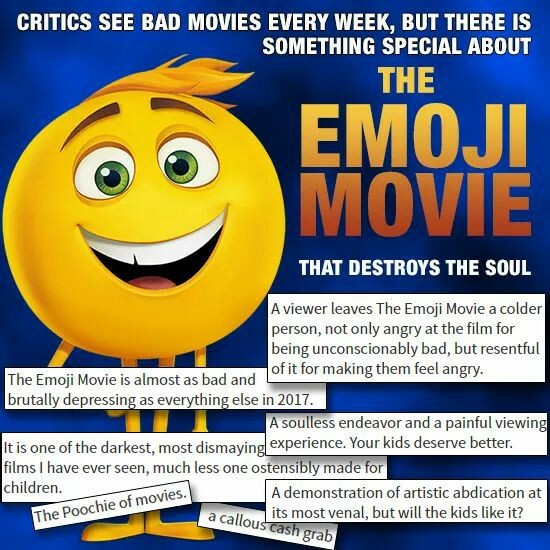 Reverend Guimo's Blog: The "Emoji Movie" is a cinematic abomination and I kind of want to see it! The "Emoji Movie" is a cinematic abomination and I kind of want to see it! You know I still feel there's the germ of a good idea for a story to be made out of the idea behind emojis. 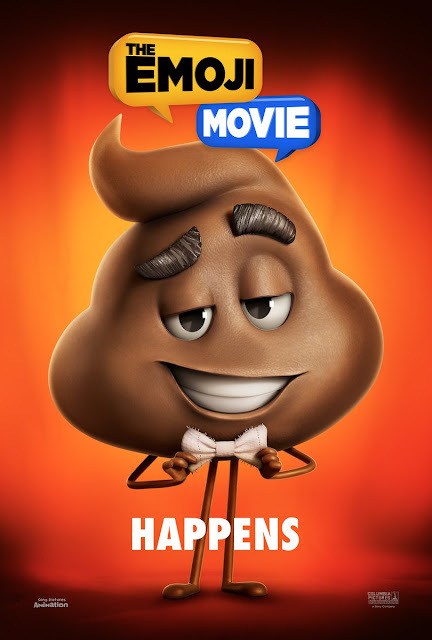 Somewhere between "Wreck-it Ralph" and "Inside Out", but to no ones surprise the story we got was apparently the worst thing to happen to movies this year. I had no intention on ever seeing this movie. I have no snarky remarks about it either, it's just not something that landed on my radar. I'm far too invested in "Thor: Ragnarok" and "Justice League" to give a damn about a movie like this, but people seem to be questioning their lives over this movie. It really is quite incredible. Earlier today "The Emoji Movie" had a 0% on Rotten Tomatoes, and now I believe it has a 3%. These are ratings so low they are mythical in nature. The movie was just released and it is being panned across the board by all walks of life. It's kind of exciting. 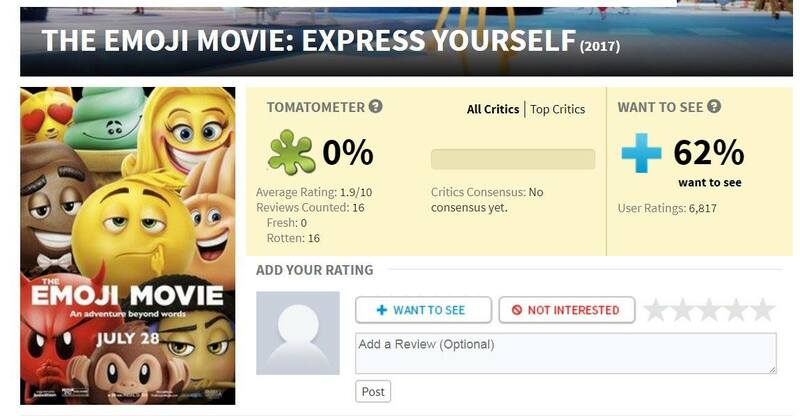 And that's part of the reason why I want to go see this film now; I want to join the party and witness for myself something truly, truly awful. I wonder though if the negative hype will come back to bite me. Like, will I be disappointed if this movie isn't the worst thing I've seen this year? I wonder if this film will reemerge as a strange cult film in the next twenty years. I hope not but I won't be surprised if it at least becomes some sort of drinking game.